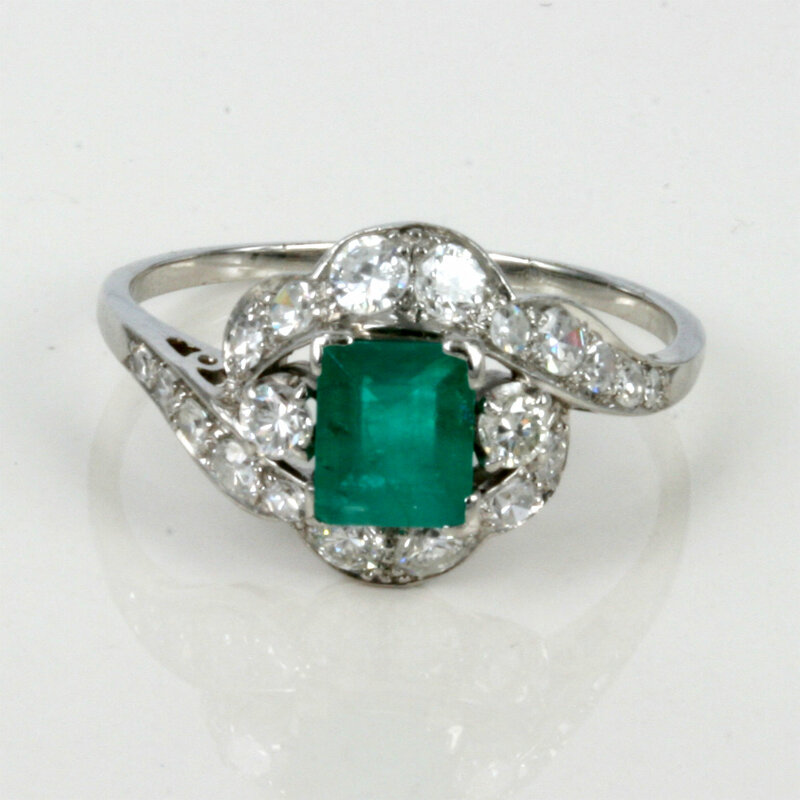 Platinum emerald and diamond Art Deco ring. Product code: 1519 Categories: Sold Items, Sold Rings. This is a very attractive and elegant Art Deco era emerald and diamond rig, hand made in platinum arund 1930. In the centre is a Columbian emerald that measures 0.85 carats, it has a wonderful vivid green, and looks so good set amongst the platinum and the diamonds. Set with 20 diamonds that total 1.25 carats, they give this ring so much sparkle. The style and design of this ring is so beautiful, and typical of the late Art Deco period. 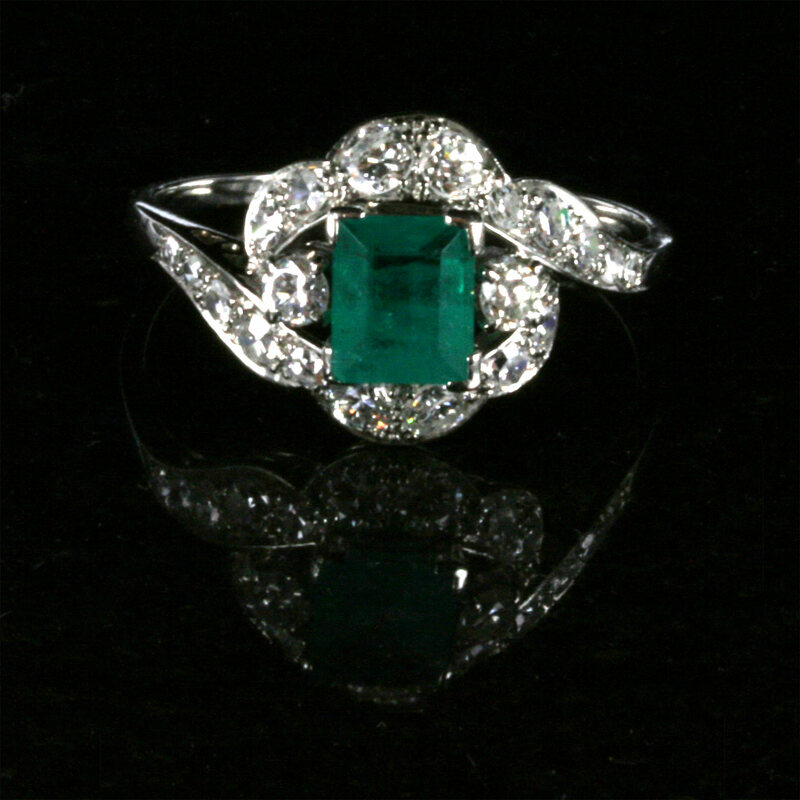 Emerald and diamonds look so ggod together, and to have a wonderful vintage Art Deco era ring made in platinum makes it even more special and unique.